Brakes are one of the vital components of a vehicle. Having your brakes in top shape can prevent an accident and even potentially save your life and that of others. 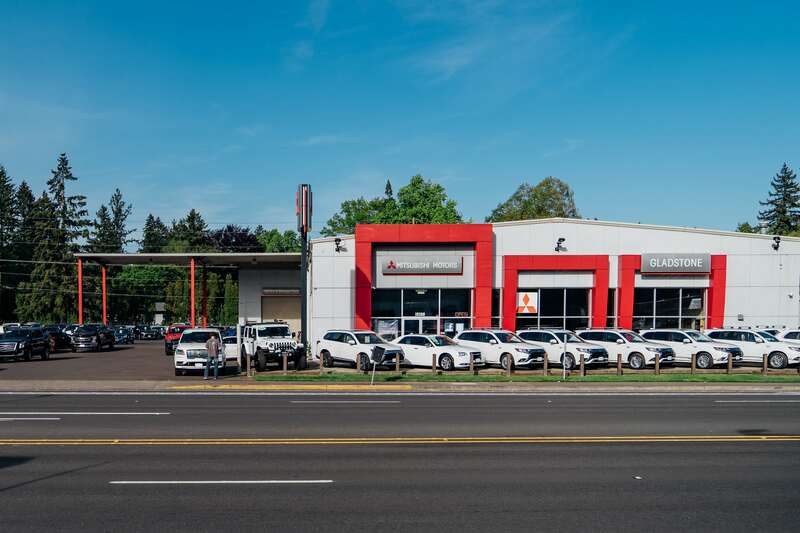 At GLADSTONE MITSUBISHI, we have your best interest at hand with parts and services that cover MITSUBISHI brakes GLADSTONE MITSUBISHI in MILWAUKIE, OR. Maintaining your brakes does not merely imply keeping your brake fluid in check, and it goes beyond replacing the brake pads. It comprises components such as the calipers, rotors, and hoses and lines, as these can decay with time. Remaining attentive to how your brakes are responding, as well as, unusual noises from your vehicle when braking can also help you detect when there is an underlying issue. Such factors can go from having a very loose or very rigid brake pedal, a brake warning light that stays on continuously, or squeaky/squealy wheels when applying the brakes. Don't wait till you hear the sound of metal grinding against metal. It is recommended that you perform a brake inspection at least once a year. It is also a good idea to inspect your brakes prior to making a long road trip, as a preventative measure. You always want to take action before your brake pads wear down, otherwise you'll end up having to replace more than just that part and, thus, a more costly repair. If it's time for your vehicle's inspection, schedule an appointment with our Service Department for MITSUBISHI brakes GLADSTONE MITSUBISHI in MILWAUKIE, OR. And if the case should warrant some replacements, our Parts Department will promptly supply us with the necessary pieces. When it comes to your safety, investing in good brakes and timely brake services will provide you with peace of mind, and with the confidence to drive to any destination, be it your daily commute or travelling to a neighboring state. There are also things you can do to lessen the amount of punishment that your brakes receive in order to extend their useful life-span. For example, one of the most common causes of brake wear and tear is speeding. By using the brakes to decelerate from a high speed to a sudden halt, you are essentially overusing them and also potentially endangering people behind you. Instead, by keeping the appropriate speed and distance from the vehicle in front of you, as well as, anticipating your stops or predicting situations ahead in order to brake progressively rather than abruptly, you'll not only be saving your pads, but also driving safer. Be Mindful of your braking habits and we at GLADSTONE MITSUBISHI in Milwaukie, OR will do the rest, with our MITSUBISHI brakes GLADSTONE MITSUBISHI in PORTLAND, OR. Schedule your appointment today!